Shintoism is a complex subject. Japan's original national spiritual practice is shrouded in mystery on many levels. Rarely are things written down, gods are hardly ever depicted in art, and rituals and doctrine are kept largely out of the public eye. The regional variety within the religion complicates it further, with shrines in one city having wildly differnt rituals. But this variety is a blessing in disguise, as it keeps things varied and interesting at each shrine you visit in Japan. A number of distinct rituals available to worshipers are found throughout the country, each with their own local explanation and history. This kind of variety in the hands-on experiences within Shintoism makes for some very fun moments while touring through Kyoto. Here are a few of our favorite rituals that you can take part in at Shinto shrines here in the ancient capital. 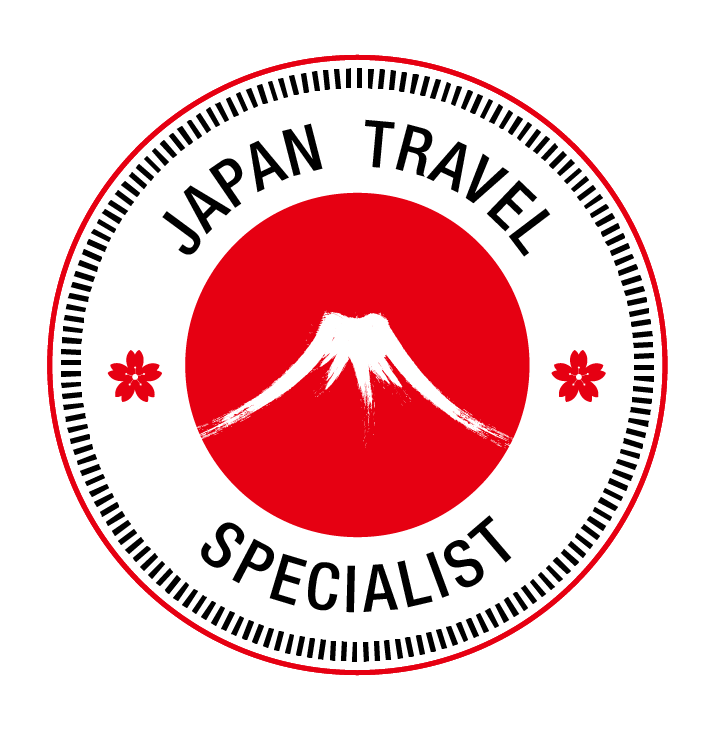 Many of these can be experienced on half and full day tours with KyoTours Japan. Need to get a message to the gods? Write it down. I'd wager that there isn't a shrine in Japan that doesn't feature this activity, and it's been around for a while now. Originally, horses were given as offerings for the Shinto deities, but this was prohibitively expensive and difficult for most people who needed some divine intervention. Instead, replicas of horses were left at altars, often made from clay or wood. Eventually, these became flat wooden boards with a picture of horses on them, giving rise to the name ema (e = art, ma = horse). A short message to the gods is written on the back, usually a wish for happiness or a petition to the gods for some specific intervention. Once in a while, you still see ema with horse art on one side, but the variety of artwork and styles that exist now could fill a whole book (and probably have, many times). Most artwork is connected to the nature of the shrine selling the ema board, with local symbols replacing the once ubiquitous horse. The shape of the board is sometimes a departure from the standard rectangle as well. I love when shrines get creative and artsy with their ema, as it shows the tradition of variation in Shinto practice. 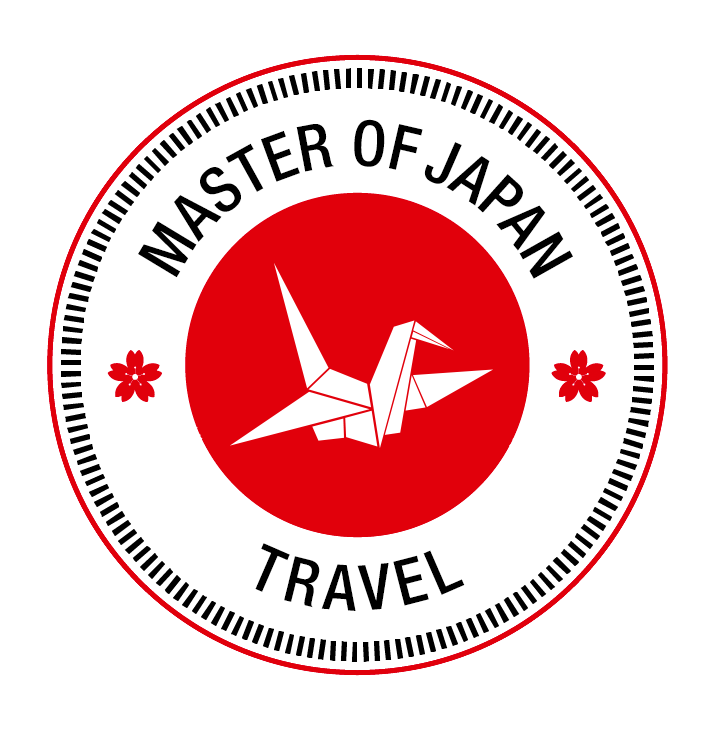 One of the most recognizable ema in Kyoto can be found at Fushimi Inari Shrine. The board is shaped like a fox face, but it lacks any facial features beyond two straight eyebrows. It's up to you to fill in the face as you wish. Some artists go for a realistic fox look, while other will get creative with robots, politicians, or famous animated characters. Like all ema, these fox boards will be saved up and burned in a ceremony that liberates the wish from the wisher and sends it to the gods. It may not come true, but hopefully the desire or anxiety attached to the wish will be purified by cleansing fire. For those of us who want a quick response from the gods about the status of our wishes, hanging an ema wishboard is a little too passive. If you're looking for an instant reply, try the omokaru ishi rocks, also found at Fushimi Inari Shrine. These "heavy or light stones" are a popular hands-on spot that attracts a long line of people daily. Begin by tossing a coin into the offering box and making a silent wish. Then, size up the round stone on top of the lantern in front of you. How heavy do you think it will be? Will you be able to lift it easily? Only one way to find out! Pick it up, and if it's lighter than you expected (or what you expected, I suppose), then your wish will come true. Hanging around this area for a few minutes will show you that most wishes don't come true here. Almost everyone is shocked by how heavy the stones are once they try to lift them. I've seen similar stone-lifting setups at shrines around Japan, so this is a popular activity that Japanese visitors are very familiar with. Just another way to feel a physical connection to the mysticism of Shintoism. This is a strange one. In a often unvisited corner of Gion, there exists a small shrine complex hidden off the main road. This shrine houses the spirit of Emperor Sutoku, a 12th century ruler who was compelled into exile after a rebellion. Forced to give up his favorite consort, the great beauty Awa no Naishi, Sutoku became well known for having to deal with emotional separation. Therefore, this shrine is all about personal connections, and a strange ritual is practiced here to "break up" with just about anything you want to end your connection with. Standing in the middle of the shrine is a large round lump covered in dangling white paper strips. Under all that is a rock with a hole in it that visitors crawl through to symbolically break a connection. On the papers are names of people that the worshipers wants to cut ties with, or problems that the crawlers want to rid themselves of. 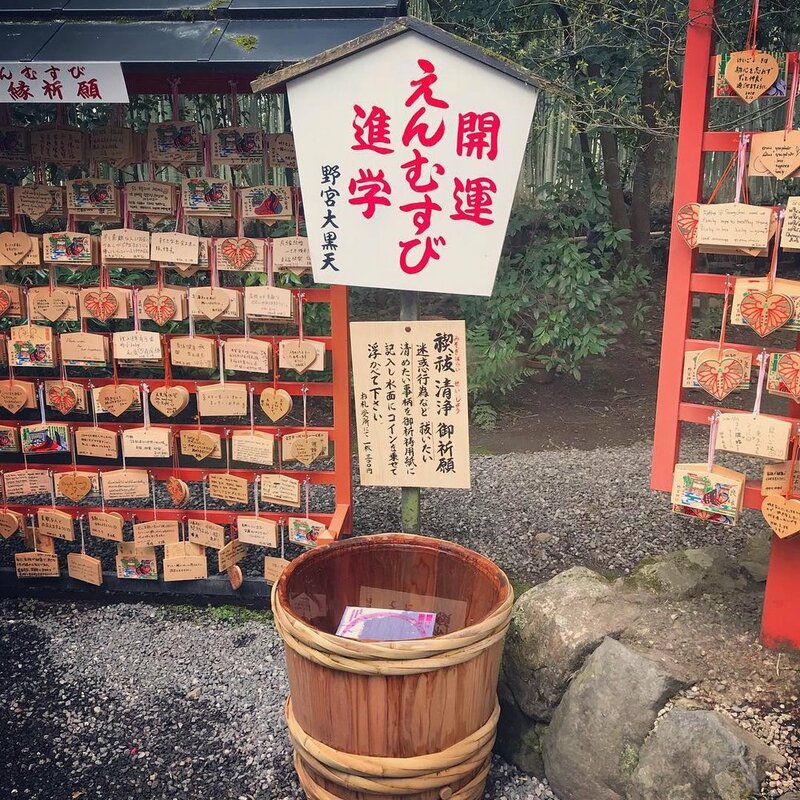 I've seen strips with things like alcohol, cigarettes, disease, and other addictions written on them, but for many this shrine is about love and personal connections. Some locals use this ritual as a tool for strengthening a relationship as well, so sometimes you'll see couples crawling through one after another. Getting down on the your knees and crawling under thousands of wishes isn't normal in Japan, so this is a great example of how Shintoism is always a local practice. Sometimes shrines will have tiny stone torii gates only a few feet tall that visitors are meant to crawl under, but this big shaggy rock is the best-known crawling ritual in Kyoto and one that needs to be experienced to be fully appreciated. Watch your head! There are Shinto gods in Kyoto for just about everything. Study, combs, vegetables, and other various concepts and objects all have a protective deity enshrined here somewhere. One that always manages to surprise and delight on our tours is the Shinto guardian of hair. Mikami ("beautiful hair") Shrine near the bamboo forest in Arashiyama is a must for anyone who is concerned about the state of their hair, and a special ritual here can ensure lovely locks for all time. Have you ever had a haircut at a Shinto shrine? With a pair of blessed golden shears, the shrinekeeper will snip off a tiny sample of your hair and place it in a special envelope on which you write your name. You'll be led to the shrine's altar and shown how to petition the hair god for a future of wonderful. This may seem a bit strange, but the elderly couple who tend this shrine both have really excellent hair, so there's definitely something going on here that we can't explain. 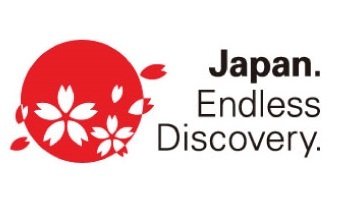 Try it for yourself at the only shrine dedicated to hair in Japan. Walk through a Shinto shrine and you'll soon hear a familiar sound: the rattle of wooden sticks followed by a shout of delight (or horror). This is how locals get their fortune told at shrines, and it's one of the most popular activities for visitors. Drawing a stick from a canister gives you a number that you take to the shrine window where you receive a fortune paper called an omikuji. It's this slip that tells you if you've been blessed with good luck, or are cursed with a round of bad fortune. This is the simplest interaction you can have with the gods at a shrine, and it's an easy one to participate in. With a little luck you'll end up with dai kichi (big luck), and if the gods are really looking our for you, you may even draw dai dai kichi, the highest ranking fortune apparently available only at a dozen shrines in the whole nation (and I've drawn that twice!) Even if you get a bad fortune, you can nullify it by tying it up to a fence or rope at the shrine so that the bad luck won't follow you home. Every so often, the shrine will collect these bad fortunes and burn them as a purification rite, making sure that none of that negativity is left lingering in this world. An interesting variation of the omikuji fortune can be found in a small shrine in Arashiyiama. Nonomiya Jinja is located deep in the famous Sagano bamboo forest, and it's served as a important spot for young women for centuries. Unmarried imperial daughters were sent here in ages past, instructed in the ways of Shintoism, and installed as priestesses throughout the nation. Because of this association with youth and femininity, many visitors to Nonomiya nowadays are young women hoping to find luck - specifically in matters of the heart. There are the number of ways to leave wishes for the gods here, but the most unique is in a wooden bucket on the edge of the shrine. 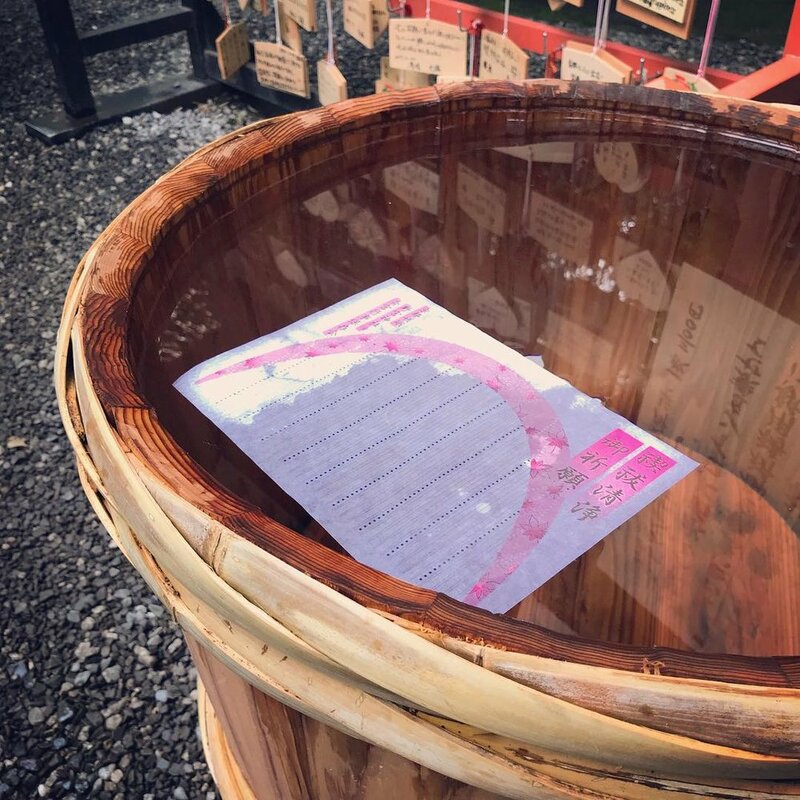 Visitors will write their prayers on a large slip of paper and set it floating in the water in the large bucket. If it sinks, that means the gods have heard your wish and will take it into consideration. 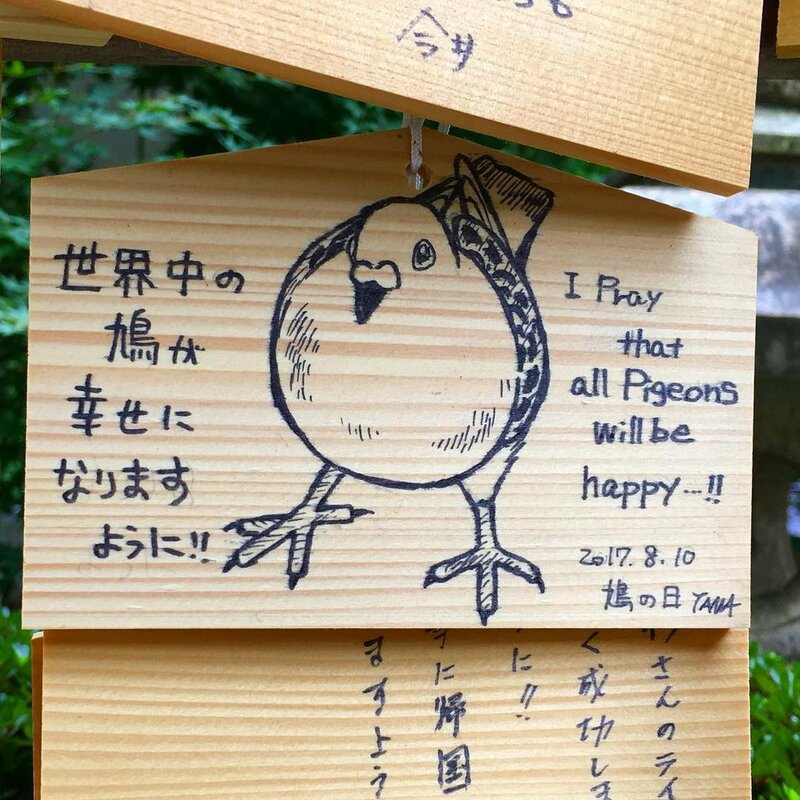 There is certainly an element of luck (or divine intervention) here like when drawing omikuji, but there's a also a way to nudge the gods in your favor as well. What can make the paper sink to the bottom and guarantee your prayer is heard? A few coins, of course! And not the light 1 or 5 yen ones, but a 100 or - for those who really need to get the attention of the gods - a hefty 500 yen coin should do the trick. Nonomiya Shrine has made wishing much more exciting than just dropping some change into an offering box. If you surveyed Japanese people, I think you'd find that most of them do not consider themselves a "believer" of Shintoism. Even "follower" would be hard to get out of them. Shintoism is now a part of the culture here in a way that transcends any religious or spiritual experience. Locals visit the shrines - and spend plenty of money there - despite it not being a religious experience like westerners visiting a church or synagogue. I think it's partially the hand-on elements that cement Shintoism as an ongoing practice for Japanese people. Activities like writing a fortune or picking up a stone give the visitor a feeling of agency in the overall concept of Shintoism. Participation becomes repetition, and repetition leads to a comfortable feeling of belonging within the cultural construct that Shintoism has become. 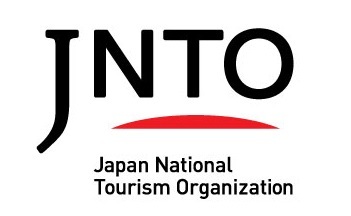 It's not a religion, but an important part of the cultural glue that keeps Japanese society functioning. By taking part in your neighborhood's variation of Shintoism, citizens paradoxically become part of the national consciousness. In a society that values groups over individuals, hands-on Shintoism is an equalizer, a way for people to feel a connection through ritual.